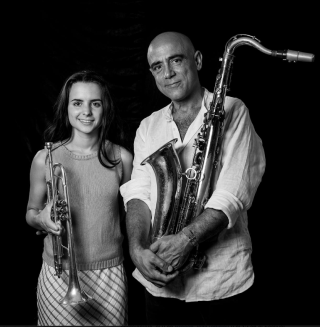 Andrea Motis & Joan Chamorro Quintet confirm 3 new dates in France. The band has alreayd amazed french audience with concerts at the New Morning in París, and this summer at Nice Jazz Festival or Un Air de Jazz, the quintet is back in France to perfom 3 concerts in October. First stop will be at the Centre Culturel- Le Family in Landemeau Oct 2nd, on the next day they will be performing at L'Estran in Guidel and last stop will be Oct 15th at the Jazz 31 in Toulouse. Learn more about this short French tour and all confirmed tour dates here.